Maren's mother unexpectedly dies and in turn, Maren has to live with her grandparents in Scotland as her father died when she was very young. Maren has never met her grandparents, so this is awkward; plus, who wants to move to a foreign country where you don't know anyone and life is entirely different? Once she gets settled in Scotland, she receives a package from home that contains the contents of her mother's office. Maren finds a lot of paperwork and other boring items, but then she comes across something interesting. It's a message from her mother that warns her she is in danger and to trust no one. What does that mean?? Maren is perplexed. To make matters more complicated, she meets Gavin while walking around the woods near her grandparent's place. Not only does she feel a strong attraction to him immediately, he is very, very secretive. Obviously, like Maren's mother, Gavin holds some secrets, too. Slowly Maren comes to find out that things aren't what they seem and there's more to her parents' deaths than she is being told. 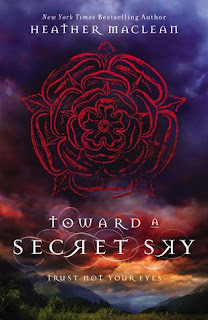 Toward a Secret Sky by Heather Maclean is an entertaining paranormal set in atmospheric Scotland; fans of Lauren Kate's Fallen series will appreciate this novel the most. How could you not feel for Maren in Toward a Secret Sky? She is still mourning the loss of her mother, even though their relationship wasn't the best at times, and now she is uprooted and sent to live in Scotland. She has a hard time adjusting at first. 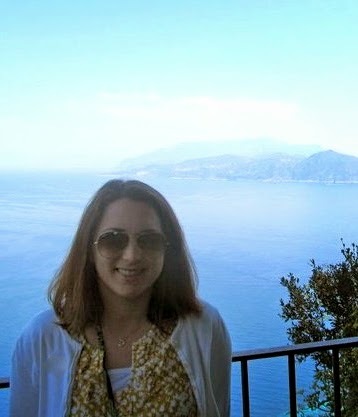 New food, new culture, new friends, new school, but she slowly acclimates. 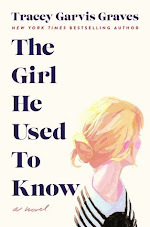 Obviously a romance blooms between Maren and Gavin, but things are more complex than Maren initially thinks. I won't give too much away, but Gavin isn't who he says he is. In fact, he initially tells her to keep away from him, but that's a little hard when she is not only obsessed with him, but also bumps into him everywhere! Their insta-love was definitely not a selling point for me and I had a hard time getting past it. But that seems to be the norm with many paranormal novels these days. What I enjoyed most about Toward a Secret Sky was the setting of Scotland. The landscape, the history, the culture....I enjoyed it all and I think Maclean did a great job bringing it to life. It's the perfect setting for a paranormal novel. Also, Maren goes to London and I absolutely loved that setting as well as she visits various famous landmarks, which gave it a very Angels & Demons/ race against the clock feel to the novel. Slowly as Maren uncovers the truth surrounding her parents' untimely death, readers learn more and more about the secrets that not only her family holds, but others, too. In fact, the sleepy town she lives in starts experiencing some upsetting crimes that Maren thinks may be tied to the message that her mother left her. So, if you enjoy the Fallen series, Toward a Secret Sky is very, very similar; I recommend this novel to fans of the paranormal genre who can't get enough. Nice review! I admit I am torn on reading this one as I was not a fan of Fallen. The setting definitely sounds appealing though the romance does not. I do have a friend who loved Fallen and loves Outlander and all things Scotland so I am definitely going to be recommending this to her. I think the teens at my library would love it too as Fallen and paranormal romance are still really popular there. Thanks! The teens who enjoyed Fallen will definitely love this book, Christina. I am not sure it's for you if you didn't enjoy Fallen, but I did like the setting and the Angels & Demons vibe. So, you never know! Thanks for visiting!